5 Carats = 1 Gram">carat but can range from $0.05 to $1000 per carat depending on the quality. The difference between quality turquoise and cheaper stones can be a little confusing. There are many factors in play that determine a stone’s price, some are subjective and others tend to change over time. The weight of the stone and the Turquoise Quality Index can help us determine how much a stone is really worth. Turquoise is weighed in carats, where 5 carats equals 1 gram. The heavier the stone, the more valuable it is. 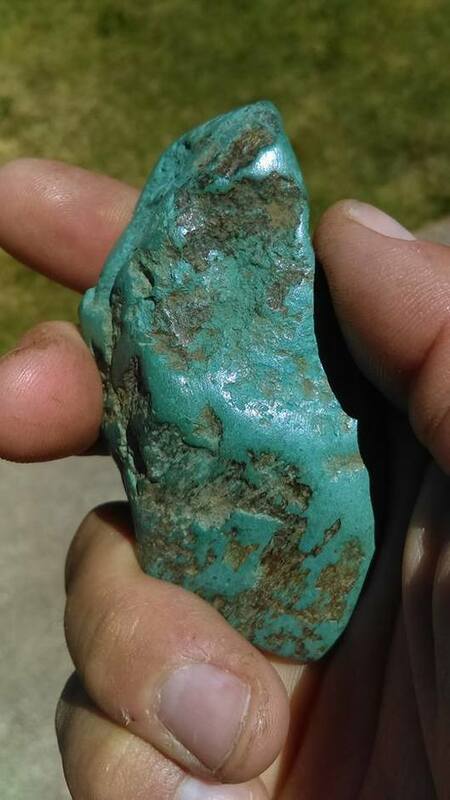 It is common to see turquoise priced per carat when it is for sale. So the first step is to weigh the stone, and then figure out what the price is per carat. This price can range from $0.05 to $500 per carat, depending on the stone. The Turquoise Quality Index (TQI) is a measurement of the quality of the turquoise stone. The TQI is a number on a scale between 8 and 100. The higher the TQI number, the better quality the turquoise, the higher the grade and the more valuable the stone. High numbers are rare; less that 1% of turquoise on the market score a 90 or better. Physical structure makes up 55 points (100%) : Hardness (20), Enhancement (20), Composition (10), and Cut (5). 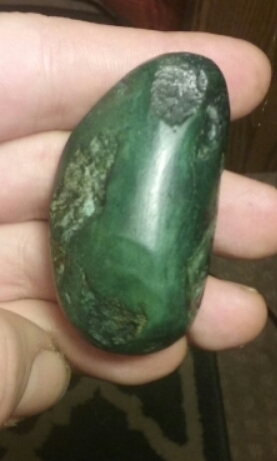 The green turquoise cabochon, from an American mine, might become part of a designer’s unique jewelry piece. 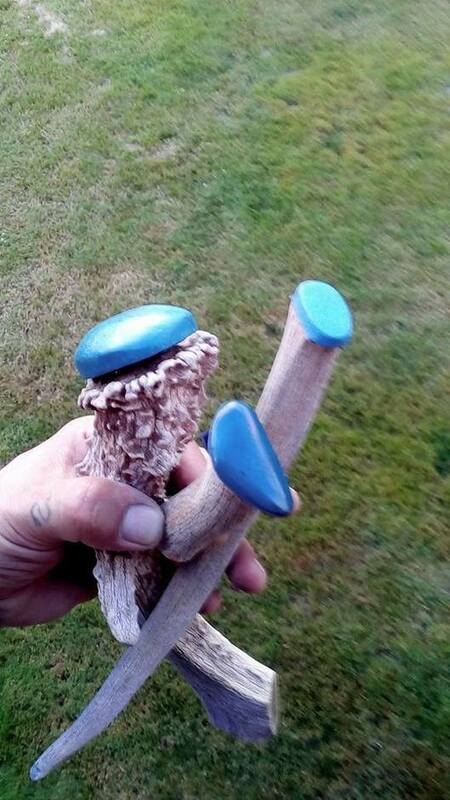 The even blue color of the cabochon on the right would be called Persian blue in the trade. Excellent-quality turquoise is sought after around the world by designers of unusual jewelry pieces. Typically, whether a fashioned turquoise meets the ideal or departs from it, it’s judged on three basic qualities—its color, its texture, and the presence or absence of matrix. Turquoise is a beautiful, semi-hard, opaque, triclinic cryptocrystalline stony mineral found in shades of red brown yellow green and the most highly coveted (PERSIAN BLUE ) or American robins egg blue which can range from very opaque to very intense blue due to the rich (Aluminium) aluminum and copper in the volcanic Oregon river-soil . Chemically, it is a hydrated aluminum copper iron and phosphates which results in a variety of complex and unpredictable formations. Rock where a precious metal or other material forms. 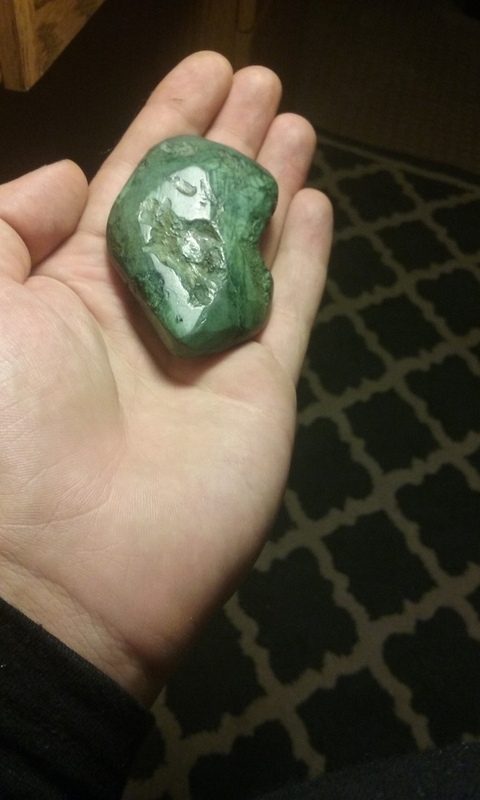 With turquoise the host rock material becomes the matrix. ">host rock material can change the appearance and structural integrity. Some turquoise is not formed completely and needs the aid of enhancing agents to make it usable in jewelry. The resulting stone’s physical properties are key indicators that help determine the value of the stone. The most-prized turquoise color is an even, intense, medium blue. But some consumers prefer a greenish blue, and some contemporary designers actively seek avocado and lime green turquoise. ABOVE (HIGH quality AAA grade -hand polished- NATURAL Oregon turquoise) the quality rivals any well known turquoise samples available on the open market. Comparably colored to the well known (SLEEPING BEAUTY) Persian BLUE turquoise usually in Arizona . Turquoise can be semi-translucent to opaque, with a color that usually ranges from light to medium blue or greenish blue. It’s often mottled, and sometimes has dark splotches. It might also have veins of matrix running through it which can highly increase the value and overall desirability of any piece (matrix is a remnant of its surrounding rock or inclusions of base minerals). The composition of turquoise measures the materials that make up the stone. Turquoise by nature is a very chalky stone and the degree of chalkiness is a good quality indicator. Generally the more grainy or powdery the stone is the lower the quality. Turquoise is always formed on another material. This material is called the host rock. The host rock is a completely different material and has its own qualities that can either increase or decrease the worth of the stone. Plastic is not really turquoise (1), reconstituted turquoise has been mixed with plastics and receives a low score of (2-3). Lesser host rocks can be unstable. 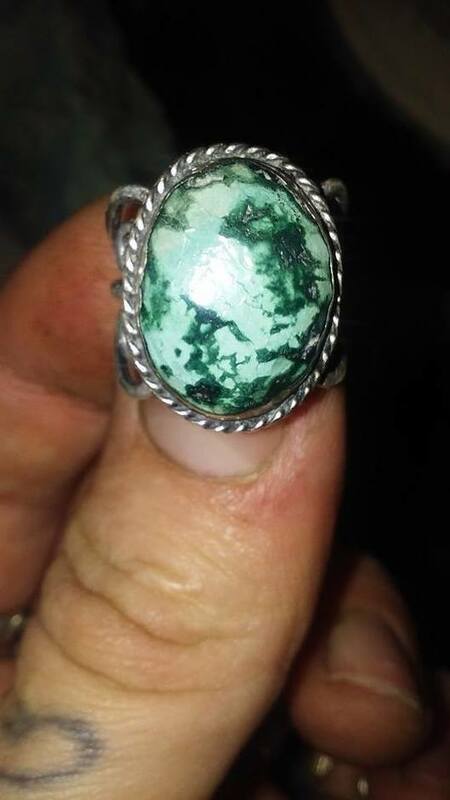 Turquoise can sometimes be not formed completely, causing the stone to be structurally weak which makes the stone less valuable these stones require some stabilization to even be usable(4-5). A stone that has a solid stable matrix or has been stabilized would receive (6-7) points. If a stone is professionally stabilized or natural with a completely solid turquoise (no matrix present) or has a solid matrix (8-9) points. A golden colored material consisting of crystalline iron disulfide flakes found in a stones matrix. ">pyrite which gives depth and metallic quality to the appearance of the stone without compromising structural integrity (10). hand cut and shaped cabs (4). Finally, stones can be sculpted by an artist (5). The less available the stone, the more valuable it is. For example, turquoise can be plastic and easily produced. Mass production of plastic is not valuable and receives a (1) on the TQI scale. Reconstituted turquoise is made from easily available chalk and receives (3) points. The most common indicator on an individual stone’s availability is the turquoise mine. Different mines produce varying quantities of turquoise; within one mine we can find different grades, colors and patterns. This causes this scale to fluctuate from year to year based on the mine’s production and distribution of the turquoise. Common mines such as the large production Chinese mines (6) and the Kingman. The name of a Turquoise mine in Northwest Arizona. Known for its wide variety of turquoise. ">Kingman mine (12) produce a lot of turquoise. Some smaller or uncommon mines are well known, but don’t produce as much. Good examples here would be DRY CREEK/ BEAR CREEK & B.R.C.M. some modern collectors say the green colors are more valuable though the Persian blue is UN-arguably the rarest and most beautiful by far. Pattern is also a controversial indication of stone value. In Persia, a pure turquoise stone free from any matrix is the most valuable. Contradicting American collectors feel that the variation of spiderwebA pattern of matrix that looks like a spider web. ">spiderweb matrix patterns is the most valuable . Clarity simply means to be clear or have good contrast. The less dull, cloudy and blurry a stone is, the more valuable it becomes. Rarity is the focus of the TQI scale. Synthetic turquoise is always a (1). Engineered patterns of reconstituted turquoise (2-3) depending on the complexity. Sparse matrix with no apparent pattern (4-5) points. Consistent matrix with little patterning or pre rare patterning (6-7). Rare patterns such as spider web, face stone, calico or pure matrix free turquoise receive (8-9). Finally, natural stones with over exaggerated rare patterns receive (10) points. 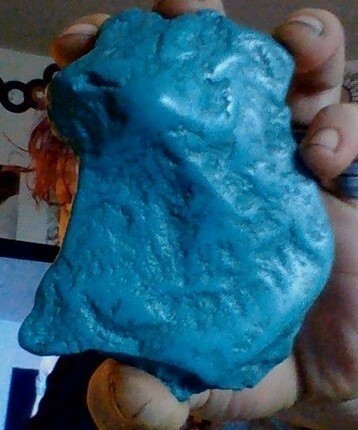 It should be noted that pure matrix free turquoise cannot be over exaggerated. The material known as spiderweb turquoise contains fine seams of matrix that form attractive web-like patterns. The most valuable turquoise is an even medium blue, with no matrix and the ability to take a good polish. No two turquoise stones are alike. 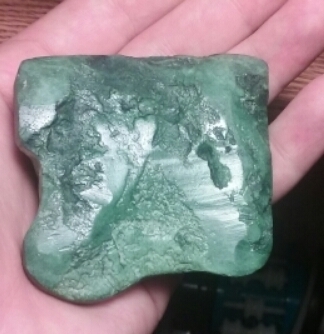 The fragments and impurities of the host stone that are not transformed into turquoise create a MATRIX. the parts of the (host rock) which can contain a pelethera of unpredictable minerals. A complex matrix can have a variety of lovely unique colors and patterns. Synthetic PLASTICS / Synthetics combined from polymers and binders such as colored plastics. This specific grade also includes fake or fabricated turquoise that is white originally and has been dyed blue and machine molded. 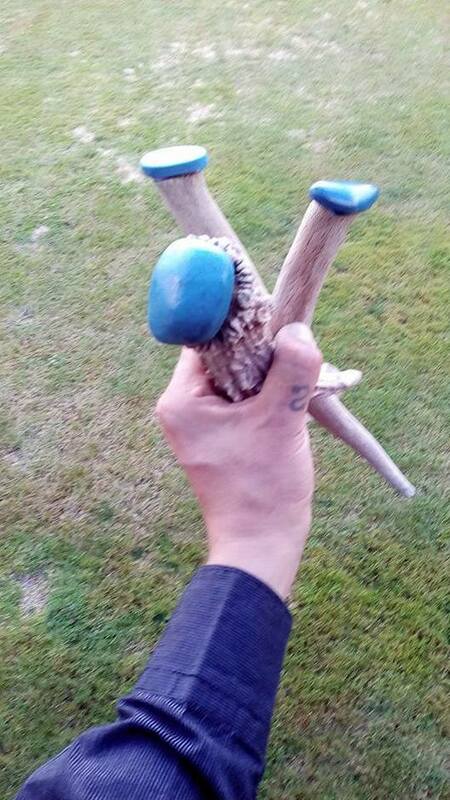 this means they are not natural (FROM THE GROUND) and can be mass-produced. JEWELRY AND ROUGHS sold at shops or in fairs/merchant shops are fake/enhanced and have little value. On the other hand, a calcium rich sea-shell (fossilized) turquoise / fossilized copper oxidized mineral bed seashell turquoise can form into a solid blue-bluegreen turquoise if it happened to fossilize near a copper vein in the surrounding area. While this is extremely rare, this can occur in just the right conditions. The rarities of this origin of turquoise, along with other rare quality indicators, bring tremendous value to our favorite blue stone. Rarity consists of 45 points: Origin (20), Color Pattern (20) and Contiguous Size (5). Turquoise is most often fashioned as a cabochon. The smoothly rounded dome shape sets off turquoise’s color, texture, and any matrix beautifully. In addition, manufacturers and artisans fashion turquoise rough into round or oblong beads for strand necklaces, and into small, flat pieces that are popular in jewelry inlays. Some top-color blue turquoise is engraved with Persian or Arabic inscriptions, inlaid with gold. Other rough material might be tumbled into “nuggets". This is a simple quality that is easy to measure and understand. Even though a very large piece of turquoise might weigh the same as several small pieces, it is usually worth slightly more per carat. This is because it is harder to find large contiguous pieces in nature than small pieces. Again, it is a very small factor and does not usually cause a dramatic change in price. A piece smaller that ¼” at its widest point receives (1) points; between ¼” and 1” (2) points, 1” to 2” (3), 2” to 4” (4). Finally, any stone longer than 4” at its widest measurable point (5). Also known as bonding, stabilization is the binding of turquoise or other natural substances with plastic or glass to increase the durability. ">stabilized receive (10) Stones that have been professionally stabilized are not allowed to receive more than (15) points even if they have a high hardness. Natural stones that seem dull and feel chalky are most likely under 5 on the hardness scale and receive (10). Rare high hardness natural stones may receive (20) points for hardness. If you cannot tell, then give it a (15). Turquoise is available in a wide range of sizes. All sizes, even very small ones, are used in Native American jewelry, and large sizes have been popular for carvings. For any size, the quality and evenness of the color is the overriding value factor. Simply calculated a carat is 1/5 of a gram of weight so if you have 3 grams it is converted over and equals 15ct. To make the surface so something smooth and shinny my rubbing it. A precious stone or metal that has been pulled straight from the earth and has not undergone any processing. ">raw turquoise chalk (infant turquoise) also known as natural carving turquoise is natural ,highly coveted and valued as a jewelry and art medium for thousands of years. This grade/formation was often carved into with Persian symbols and traded as a rune stone , BUT even though it is natural, it is of a RAW quality that can be usable only with a form of oiling or waxing enhancement. Raw turquoise chalk only receives (5) points on the TQI scale when untreated or polished but can be valued much higher ounce I is properly treated using native American techniques which can solidify and crystalize the turquoise naturally leaving it alive and raw while also being hardened and stabilized with no chemicals or additives..
After you have a total TQI points compare it to the chart below to get the price per carat.